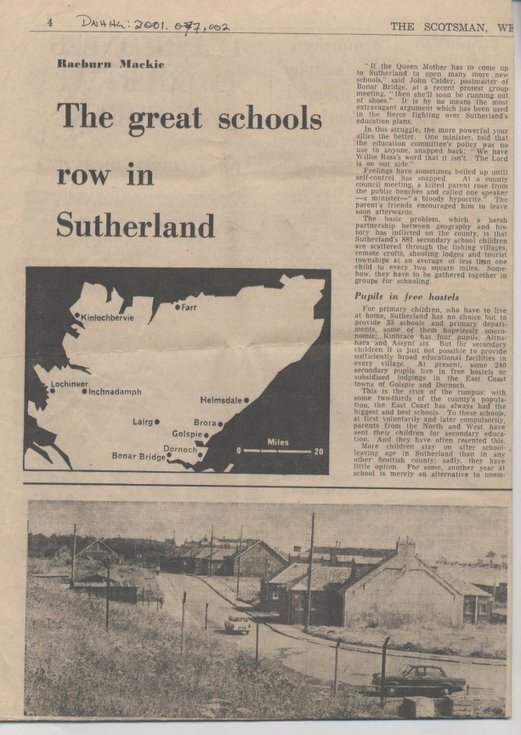 Newspaper cutting relating to proposed restriction of Dornoch Academy to first three years only. The Scotsman Kuly 24 1968. Article covers the complicated and emotional background to the decision to downgrade Dornoch Academy. The clipping is creased where folded and around the edges qand there are several torn areas.